Raul Alberto Antonio Gieco, better known as Le¥n Gieco (born on November 20, 1951 on a farm near Ca?ada Rosqu¦n in northern Santa Fe Province, Argentina) is a pop-folk music composer and interpreter. He is known for mixing popular folkloric genres with Argentine rock, and for lyrics with social and political connotations. This has led to him being called "the Argentine Bob Dylan". 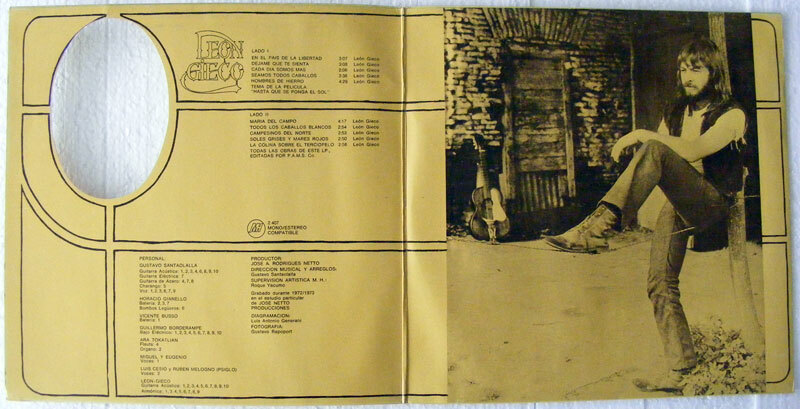 Click the button below to add the LEON GIECO 1st Album ROCK ARGENTINA LP 1973 to your wish list.